Daste wasn't planning on becoming a coach until one of his coaches at Washington pulled him into it. Now he'll try to guide the Crusaders to a Class 3A state repeat. Coaching wasn’t in Dominic Daste’s plans. 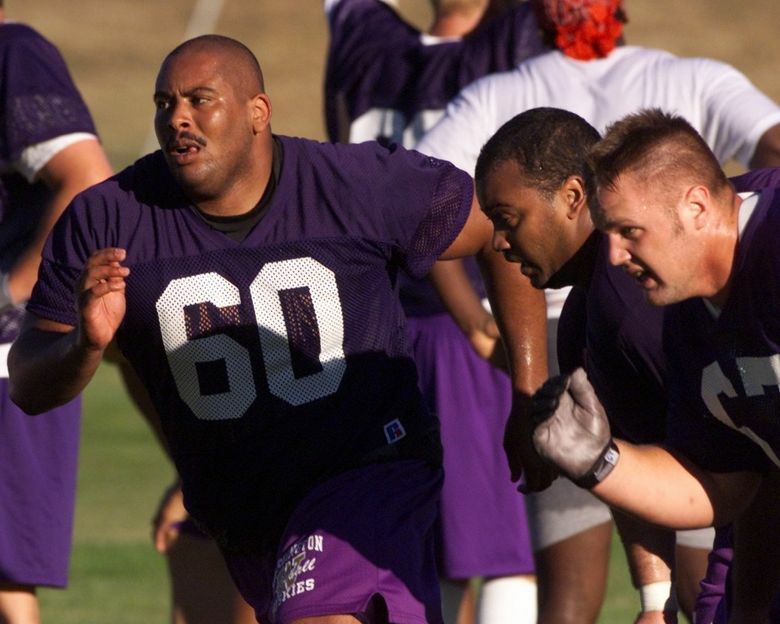 The former University of Washington offensive lineman had sights on commercial real estate in a booming Seattle market after graduating in 2001. Brent Myers, UW’s former assistant coach, thought otherwise. Daste filled the role for two seasons. His coaching career took off with stops as an assistant at Montana and UNLV before being lured to Eastside Catholic in 2015 to be an offensive line coach. Then a once immovable force on the football field was pushed again. Jeremy Thielbahr, who Daste regards as a close friend, announced in late February he’s stepping down as head coach to care for his mother in Montana. Thielbahr will remain with Eastside through June. Eastside president Gil Picciotto wanted to appoint Daste as Thielbahr’s replacement. The latter wanted to talk it over with his friend. In addition to historic wins and two Class 3A state championships, including the one won in December, Thielbahr and Daste have a unique link in newborns being born within three months of each other last fall. Daste is also taking on a bigger role within the administration for the private school as Dean of Students. His past few weeks have been learning the intricacies of both positions and decorating a new office. 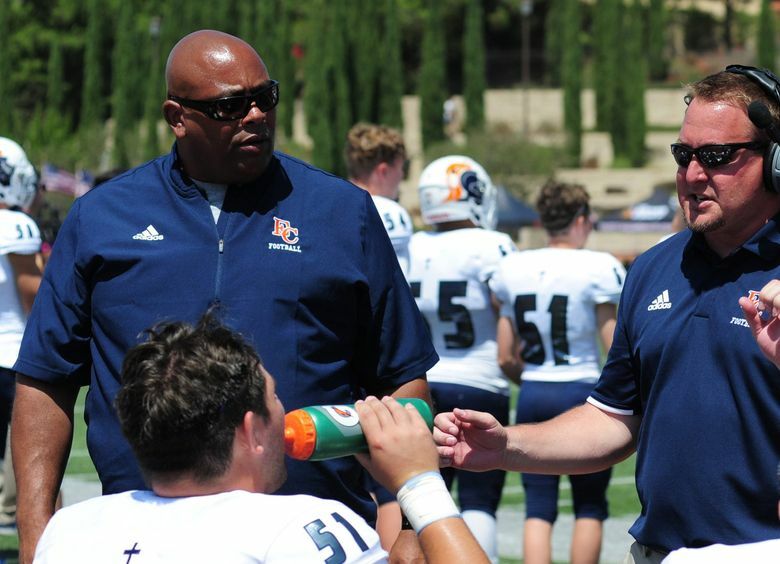 Under Daste’s leadership, the Crusaders offensive line helped amass 4,797 yards last year. Eastside averaged 41.3 points per game in finishing the season at 13-1 and state champs. 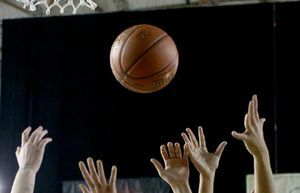 Players and staff were notified of the change via letter from Thielbahr in February. The team had an opportunity to be with their now former coach when he returned for the football banquet March 3. Daste said he’s in the process of holding individual meetings with players to discuss the changes and any other concerns. “It was a little bit shocking because I thought I’d be with (Thielbahr) all four years,” Eastside junior running back Sam Adams II said. “He helped me with recruiting and has kind of gotten me through life as a high-school player and prepare for life after high school. 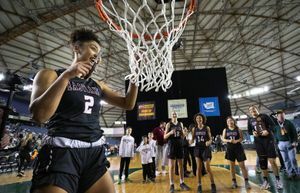 Adams, who was named Offensive MVP of the Metro League’s Mountain Division, is one of four expected returning players ranked among the top seven in Washington for the Class of 2020, according to 247Sports.com. The class is led by receiver Gee Scott Jr., who committed to Ohio State, while sophomore defensive tackle J.T. Tuimoloau is the top-rated player in the nation for the Class of 2021. 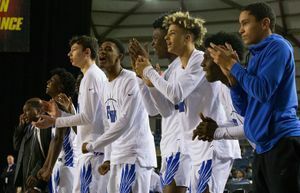 Daste, as with every season, expects the Crusaders to be back in the Tacoma Dome vying for another state title in December. He also expects this to be the hardest journey for the trophy. The Crusaders graduated seven seniors on the offensive line. Daste anticipates hiring an offensive coordinator, but most of Thielbahr’s staff plans to return, including defensive guru Rob Christoff. Words spoken like a true coach. Jayda Evans: 206-464-2067 or jevans@seattletimes.com; on Twitter: @JaydaEvans. Jayda Evans covers the Sounders. She offers observations, critiques, and occasional offbeat tales. Evans also has written a book on the Storm and women's hoops titled, "Game On!"